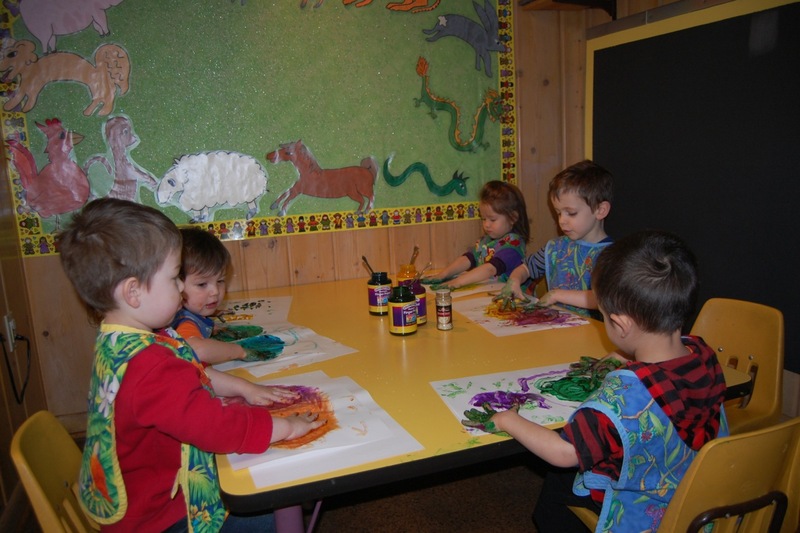 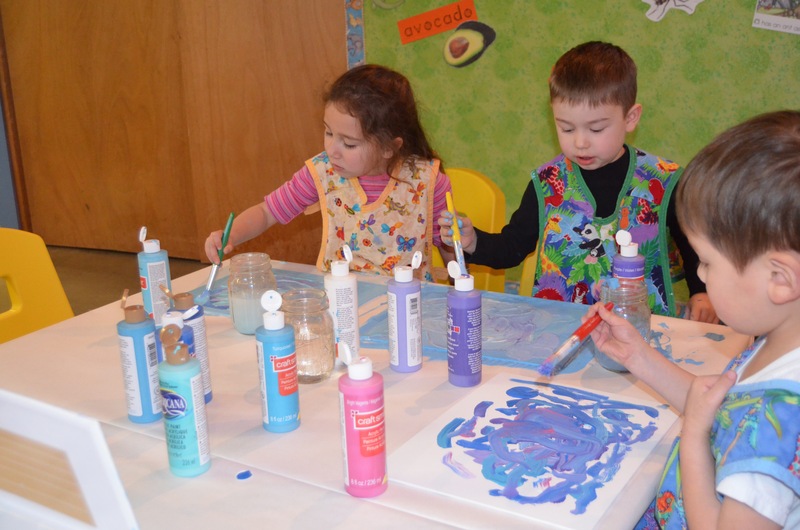 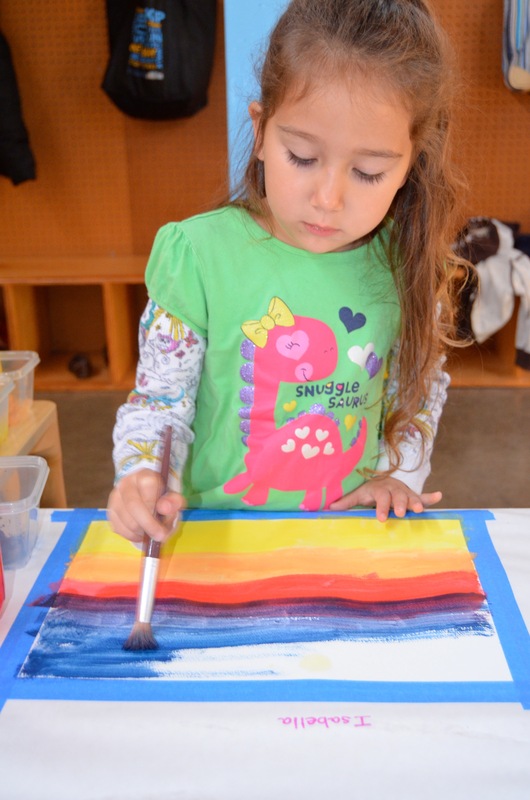 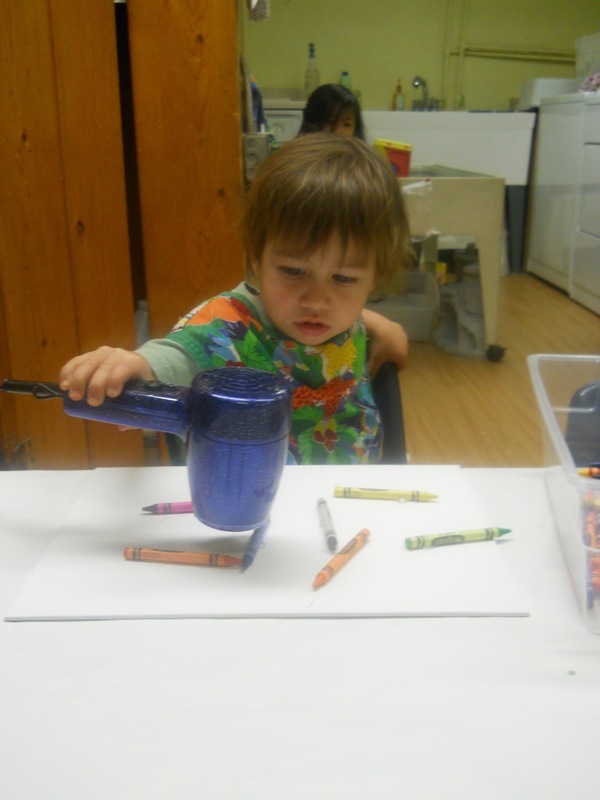 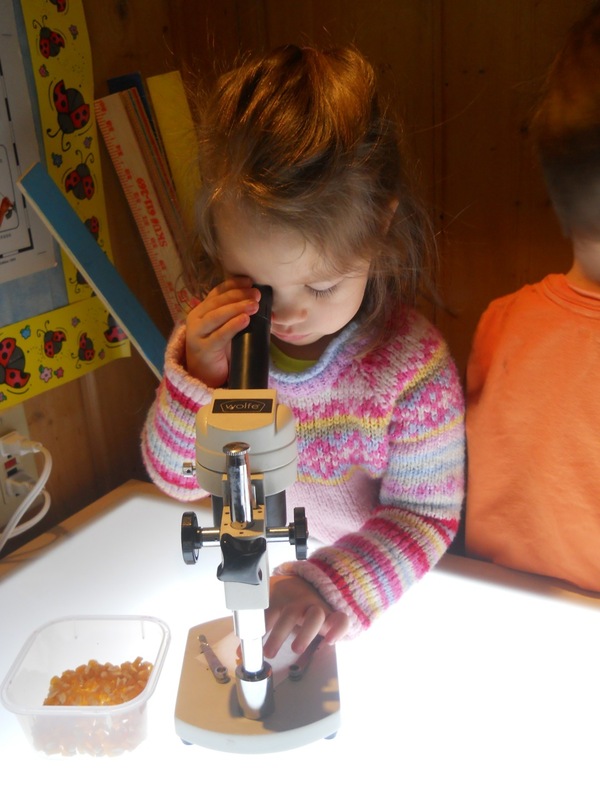 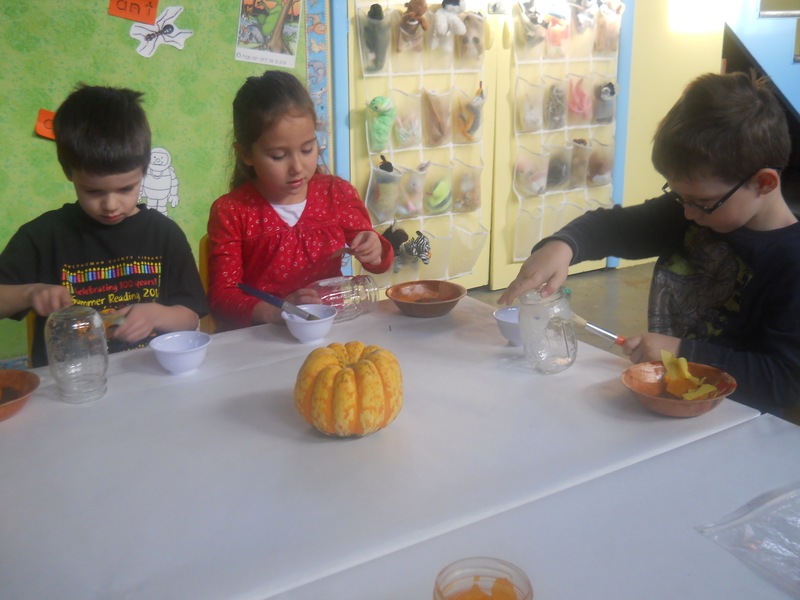 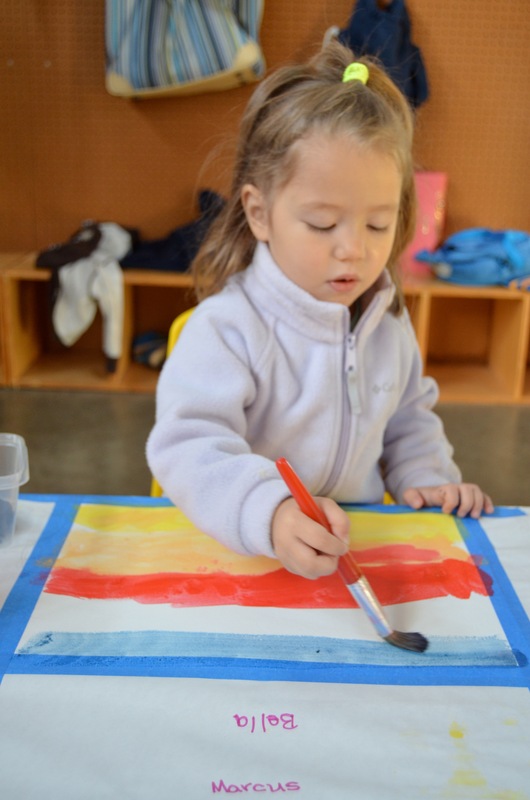 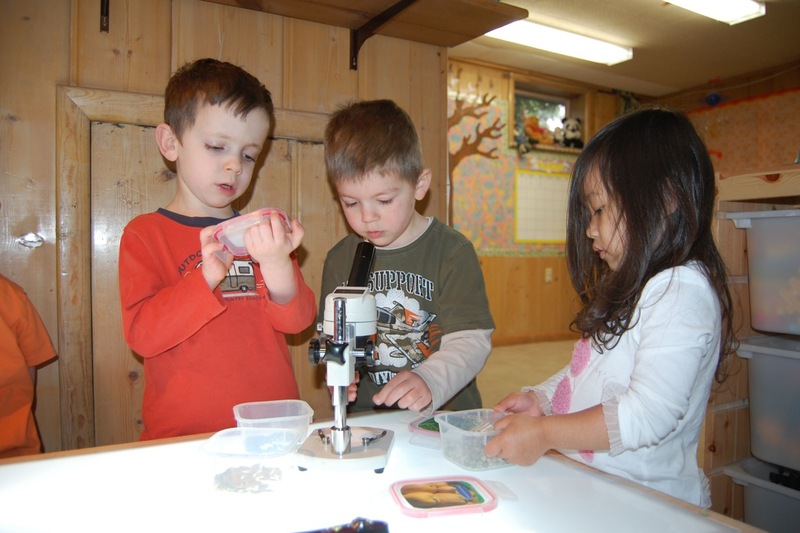 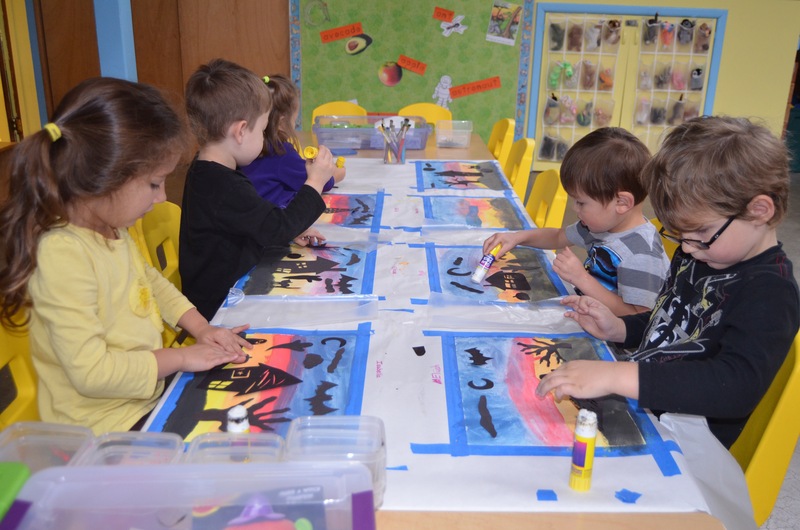 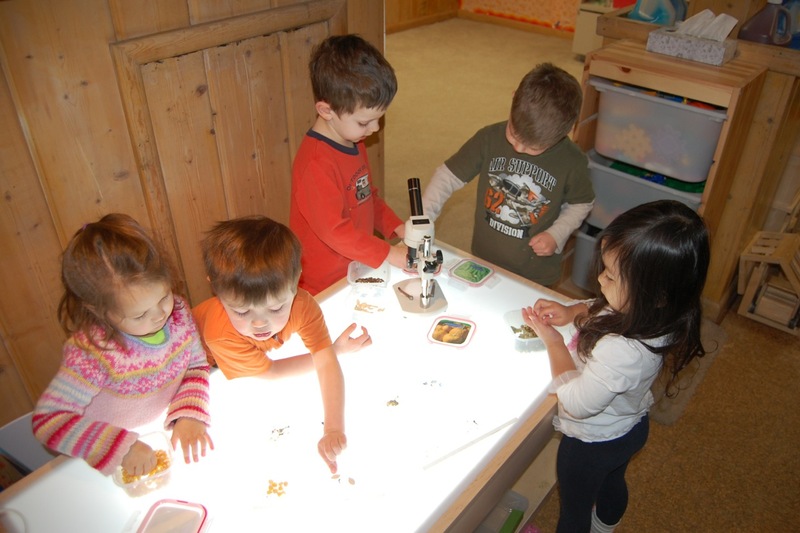 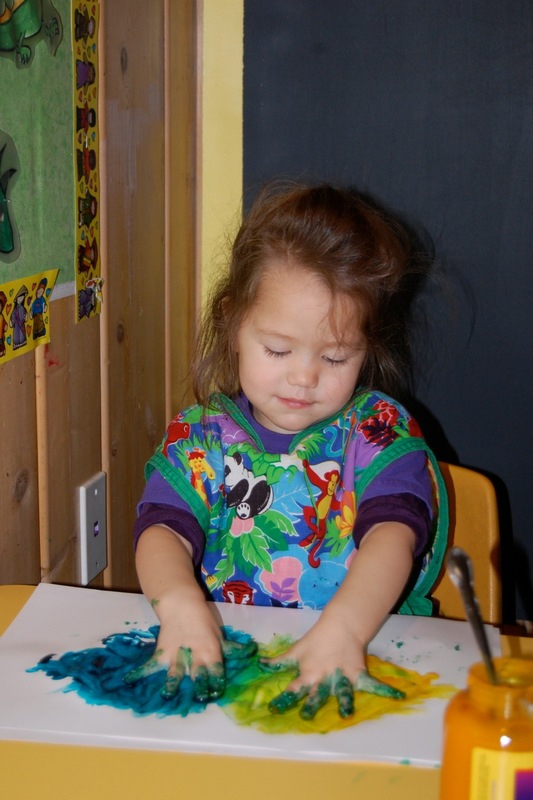 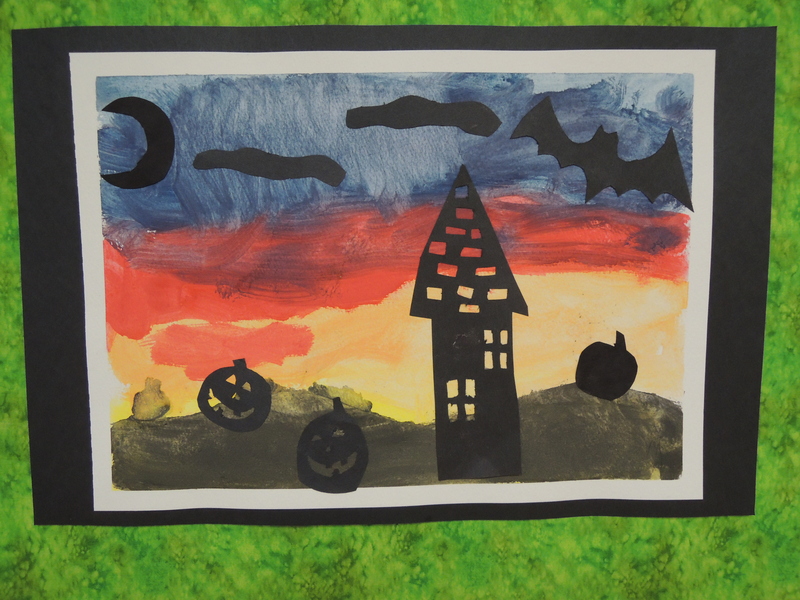 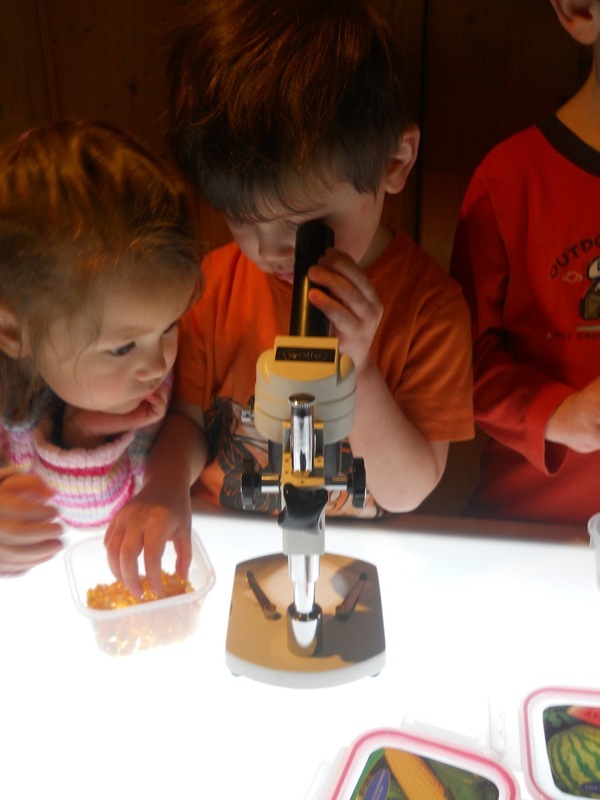 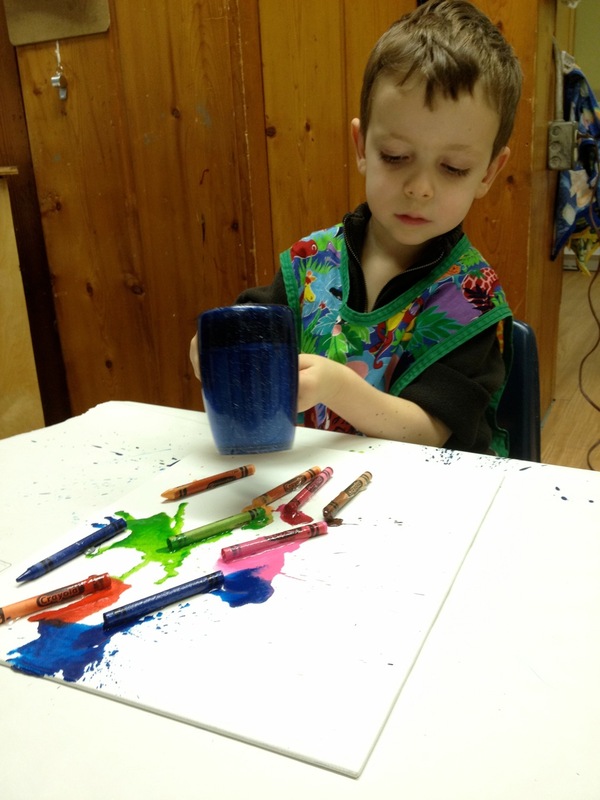 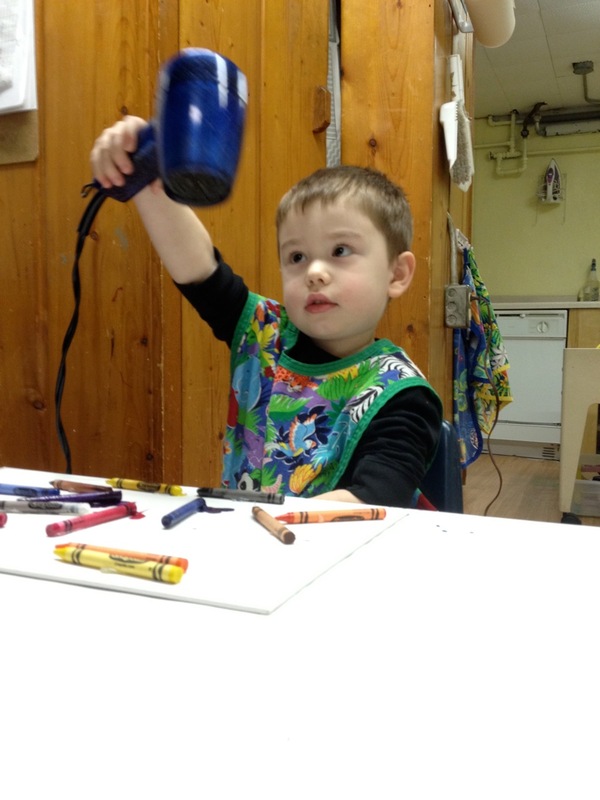 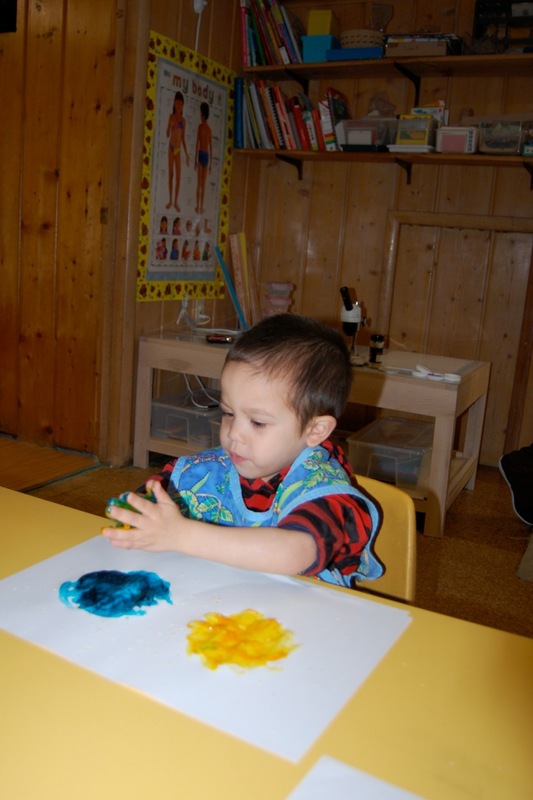 Many fall activities are happening in the preschool class. 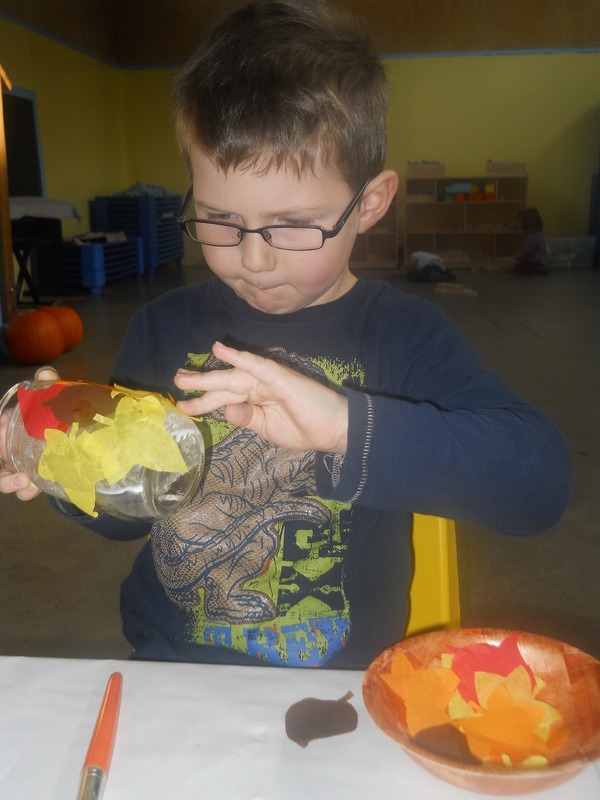 Last week the children made beautiful votive candle holders for their families to use at Thanksgiving. 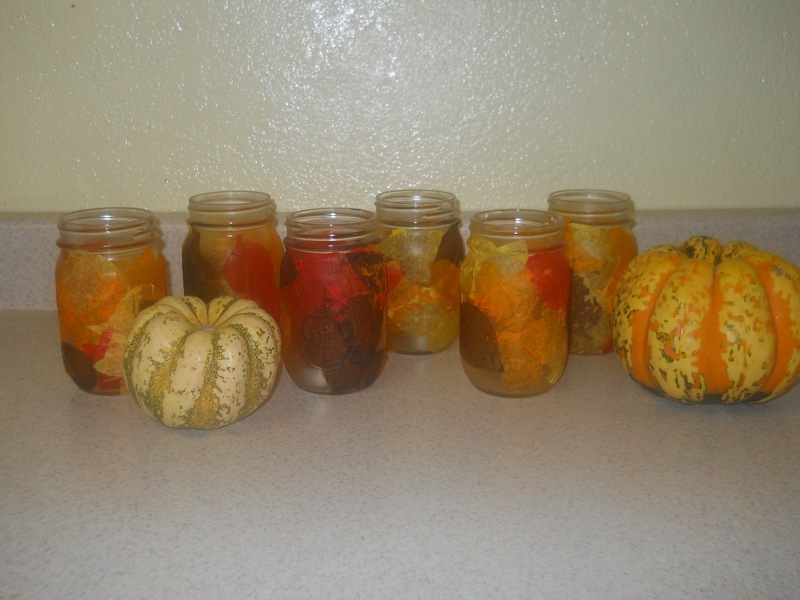 Ball canning jars were painted with Mod Podge that was slightly thinned with some water. 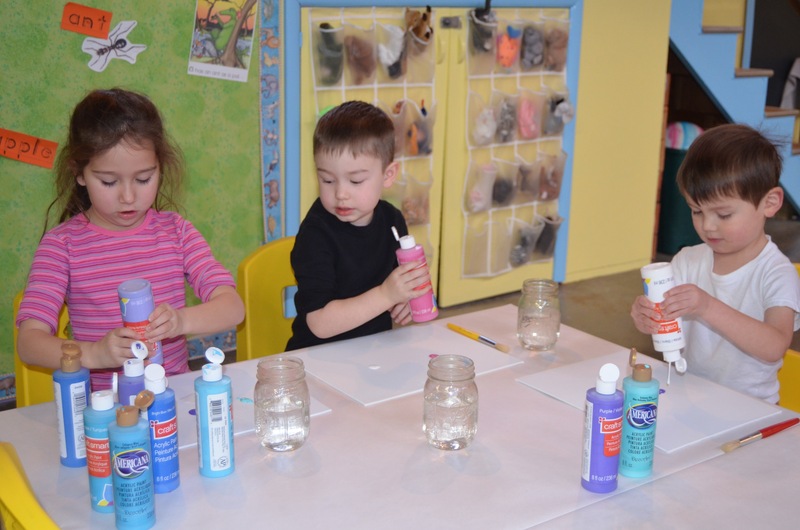 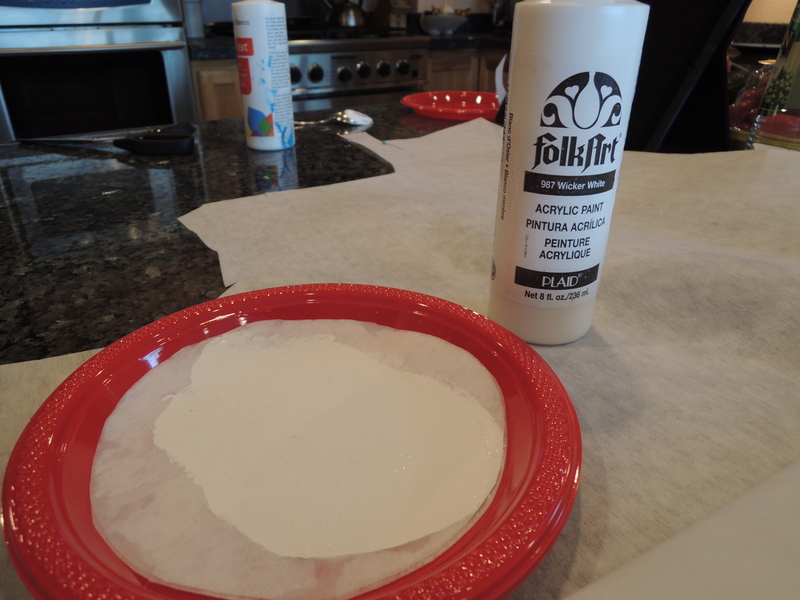 This makes it easier for the children to paint the glue onto the jars. 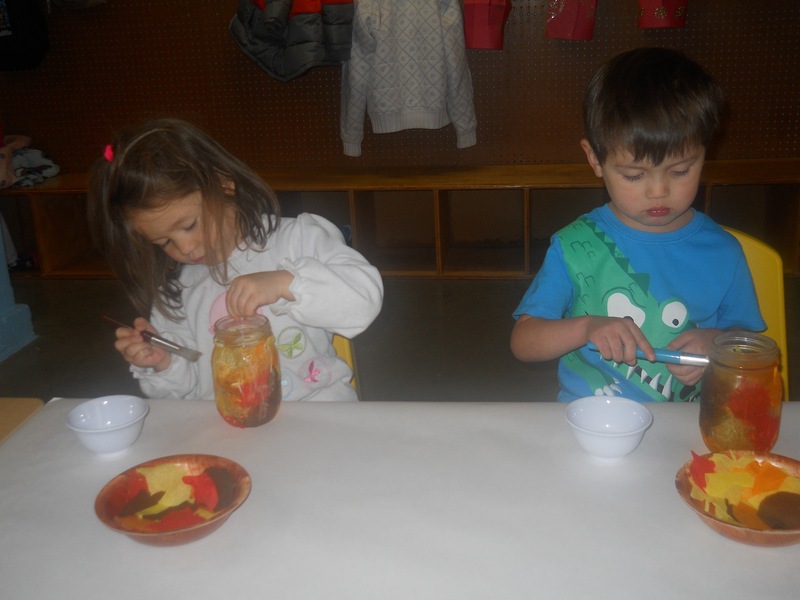 The teachers cut leaves out of tissue paper in fall colors then the Children put them onto the jars. 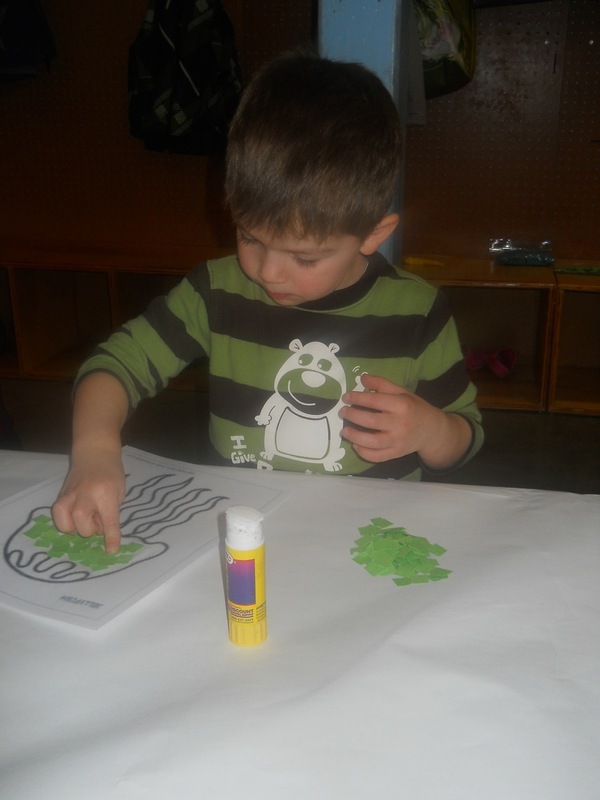 Mod Podge was painted over the leaves. 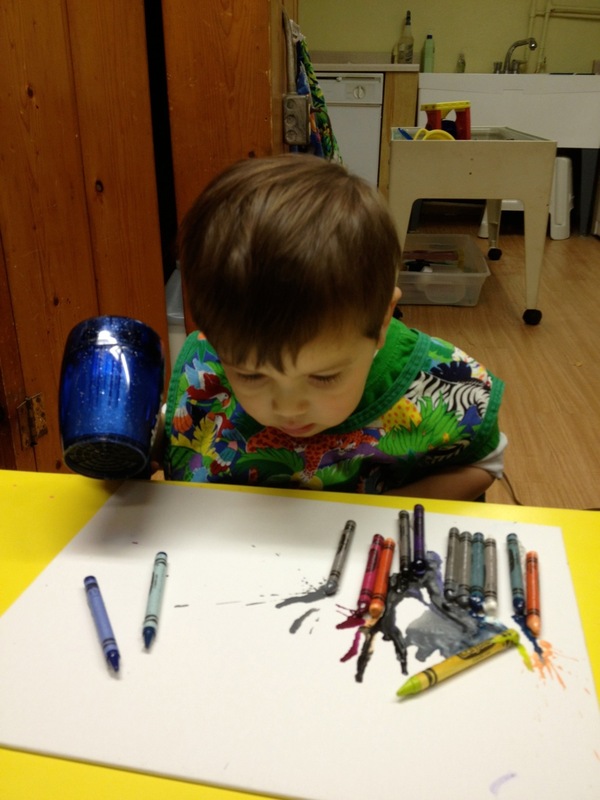 I love E’s focus and concentration. 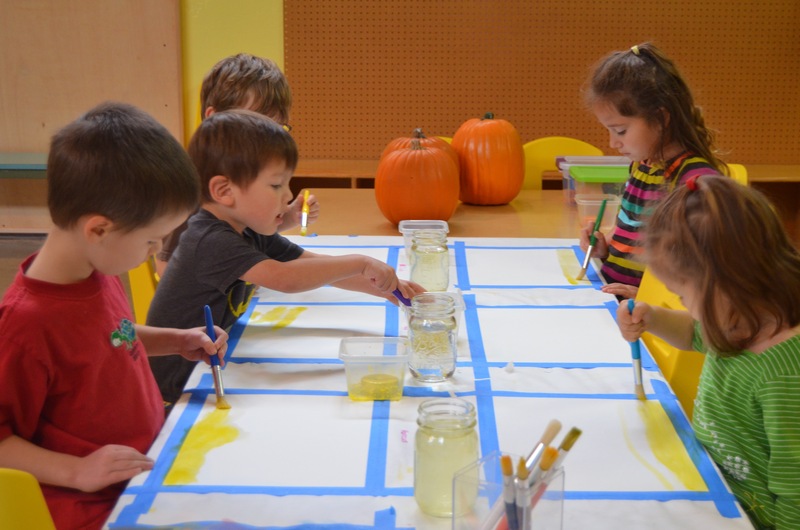 Other fall activities include playing with pumpkin pie play dough, a turkey color matching activity at the light table, counting mini pumpkins while learning one t0 one correspondence, and learning Chinese food vocabulary with Gao Laoshi. 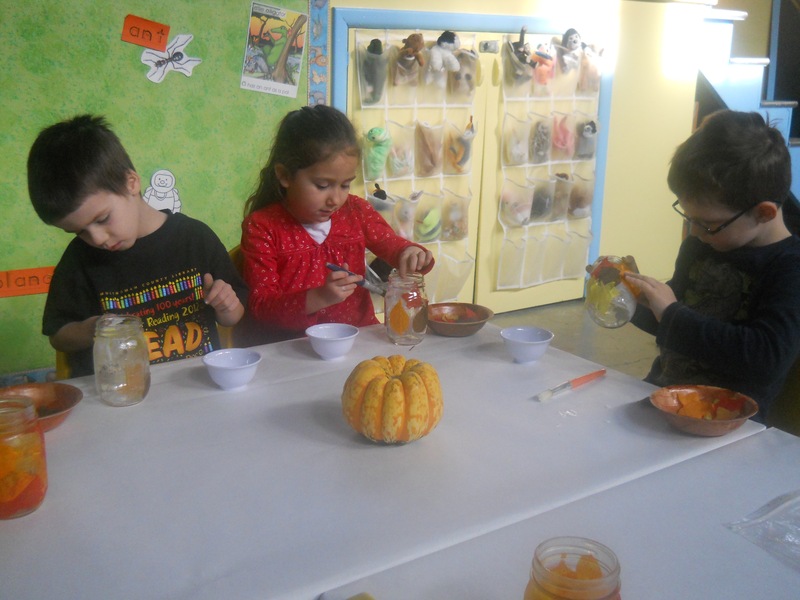 This week the preschool class will make pumpkin pies to share with their baby home friends and teachers. 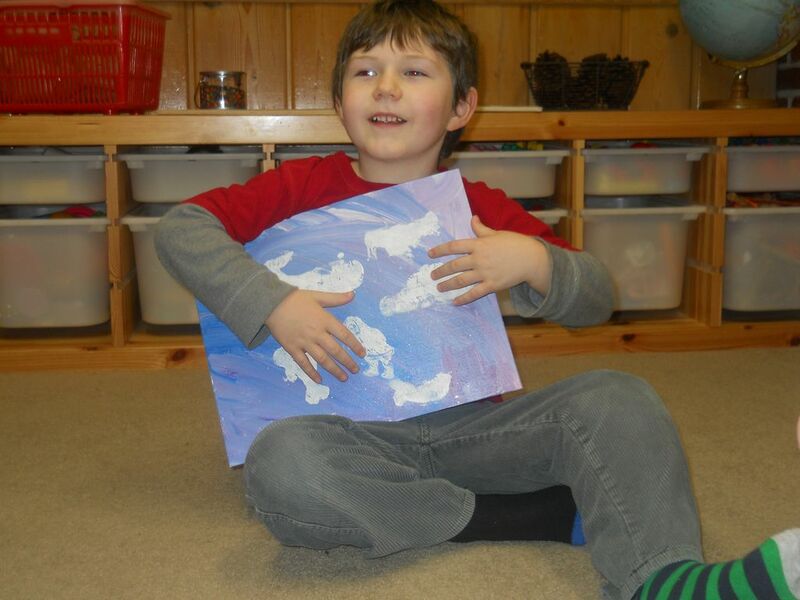 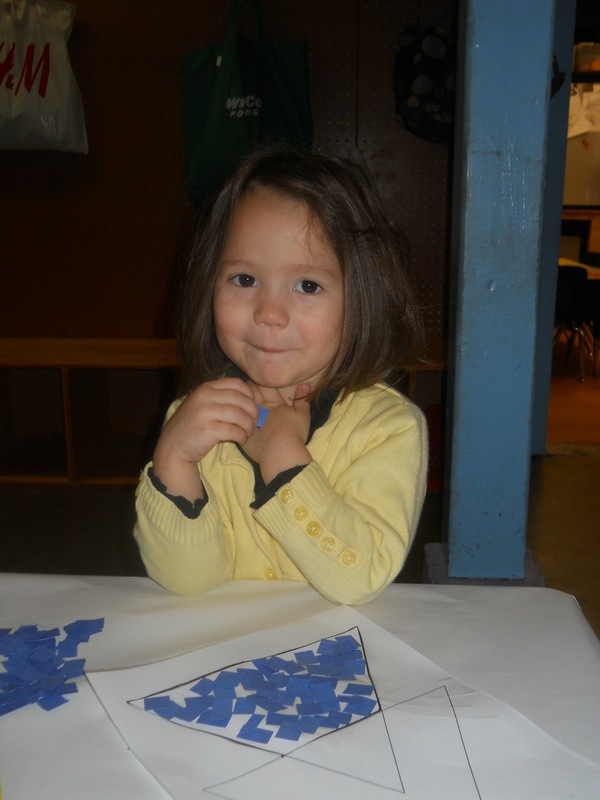 The preschool class has been working on a mosaic art unit during the last month. 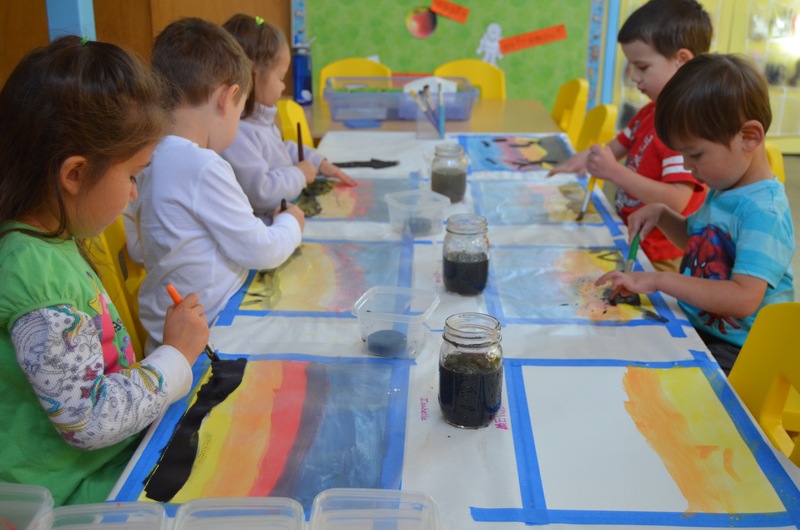 At the beginning of the unit children watched a slide show of mosaic art examples and discussed the different pictures and medium used to create the artwork. 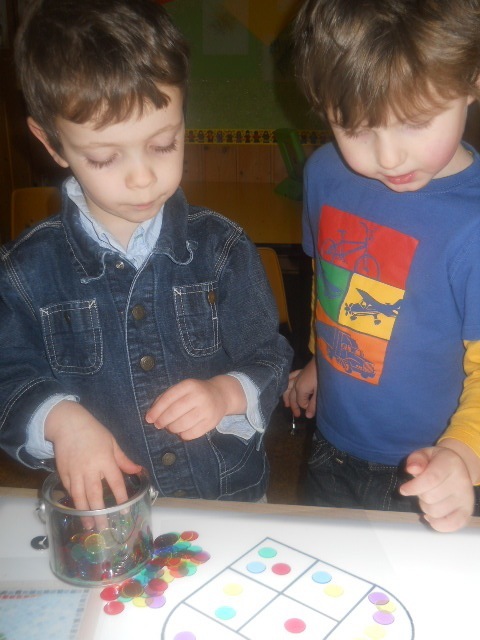 Several activities were planned to enable the children to eventually create a nice mosaic picture. 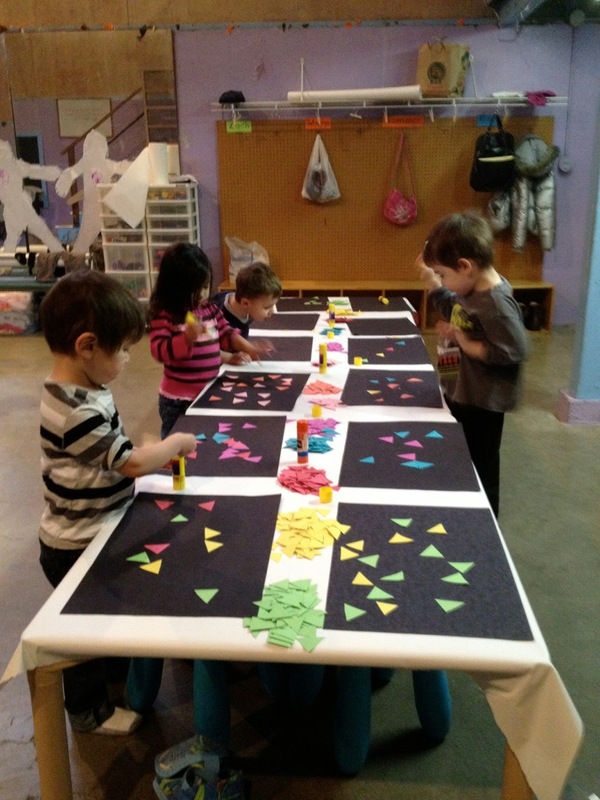 The first project was open ended and permitted the children the freedom to create a mosaic without any constraints. 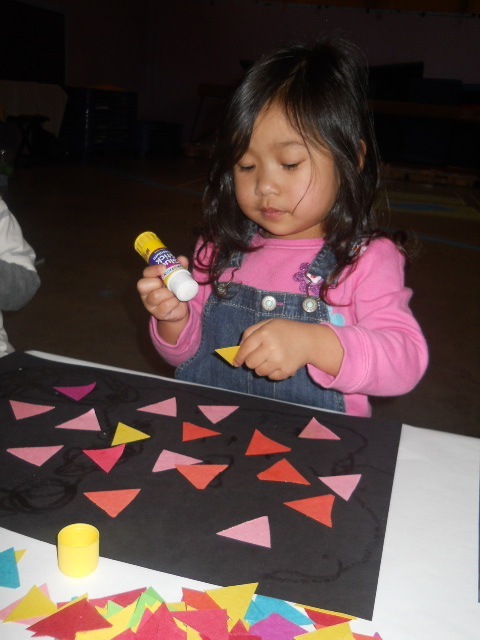 The children could play with the triangles, choose any colors they wanted and glue them onto the black construction paper in any design they preferred. 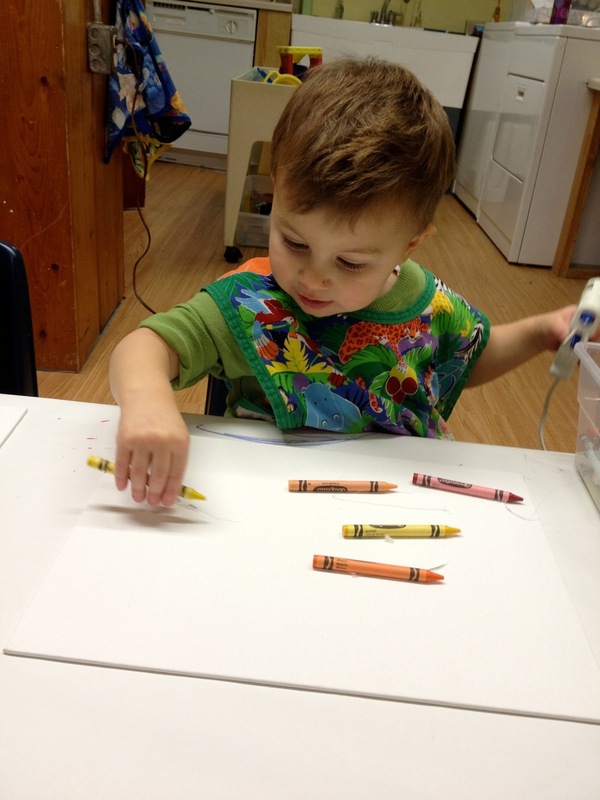 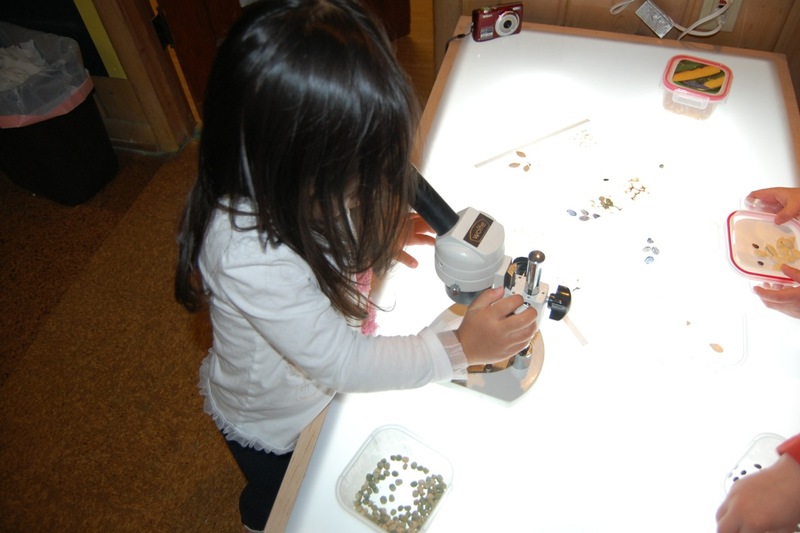 An ongoing mosaic activity has been set up at the light table for the duration of the unit. 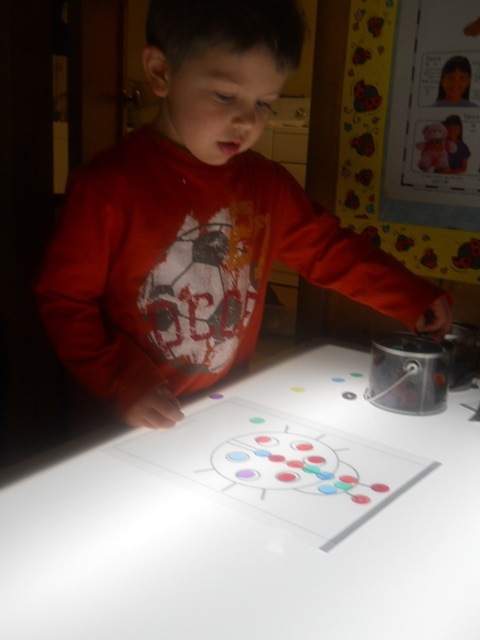 Several overhead projection transparency sheets were printed with pictures for the children to fill in with different colors of overhead projector circles. 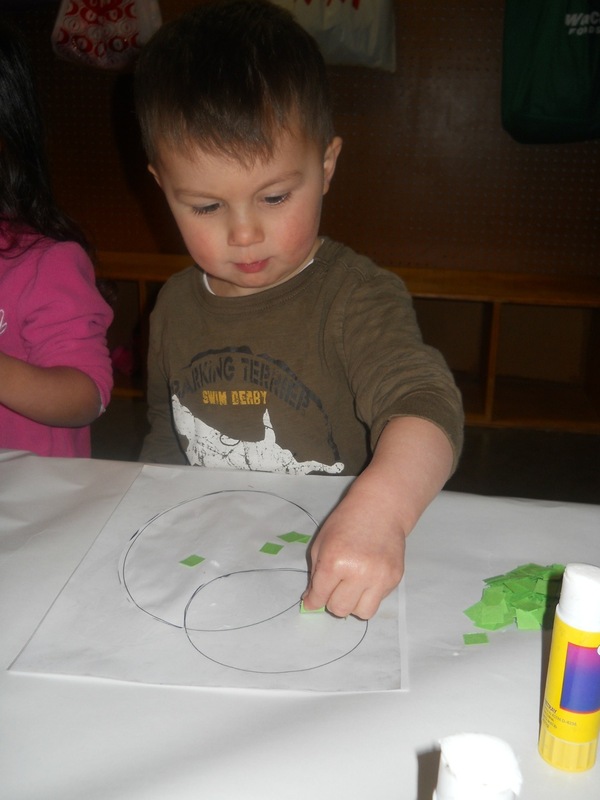 The circles are stored in clear plastic paint buckets. 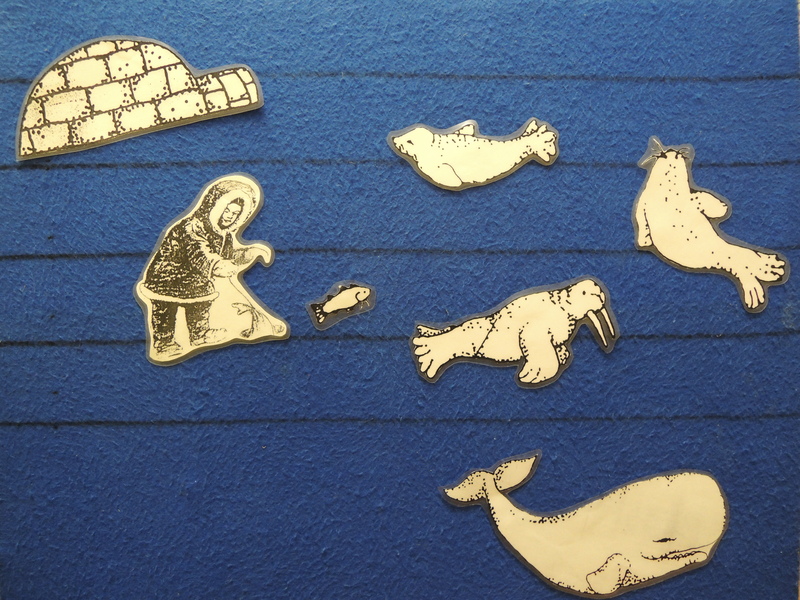 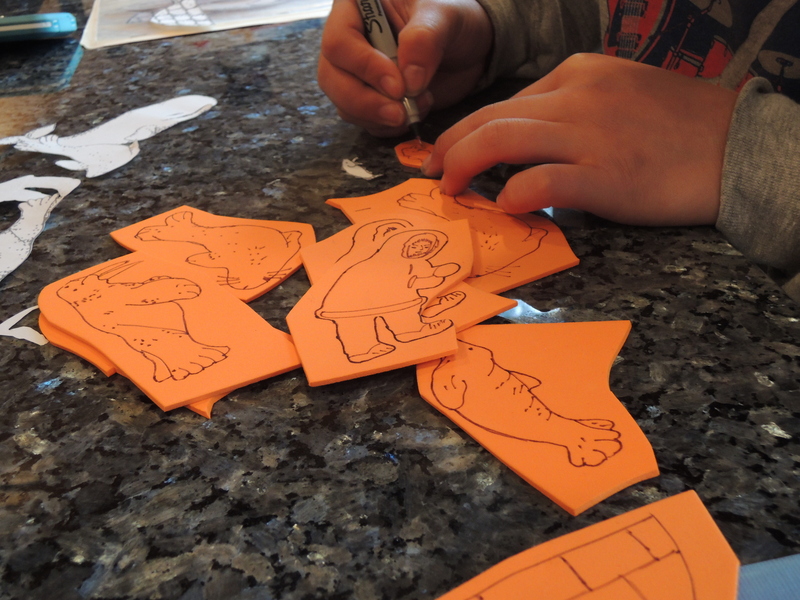 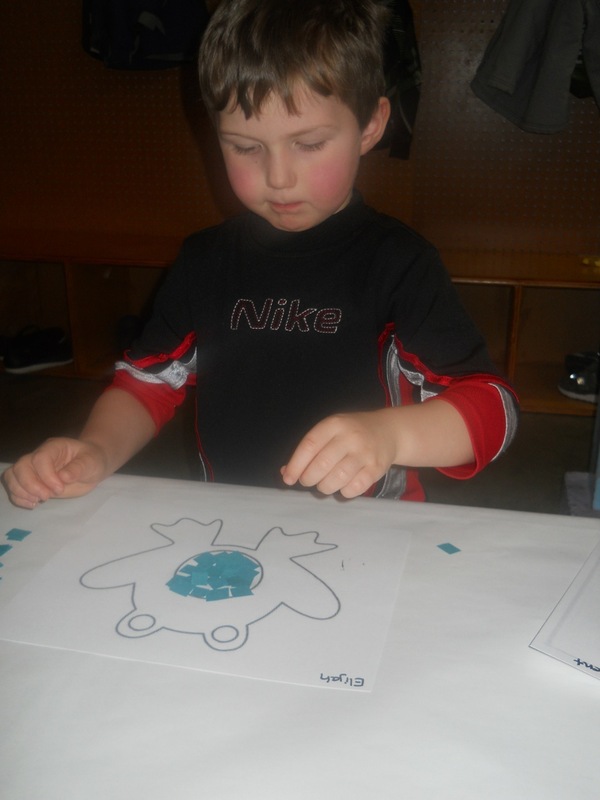 Children could also view transparencies of real mosaic art pieces. 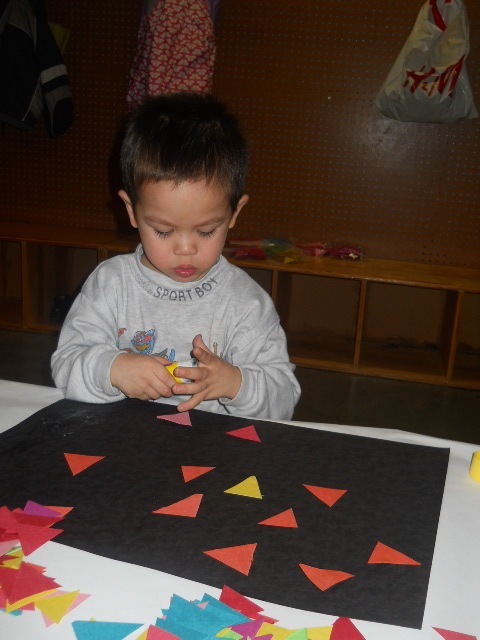 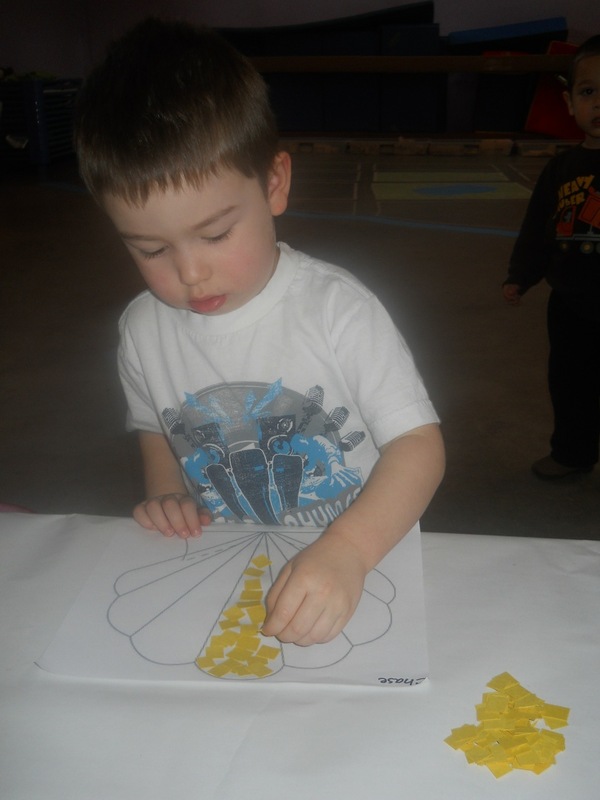 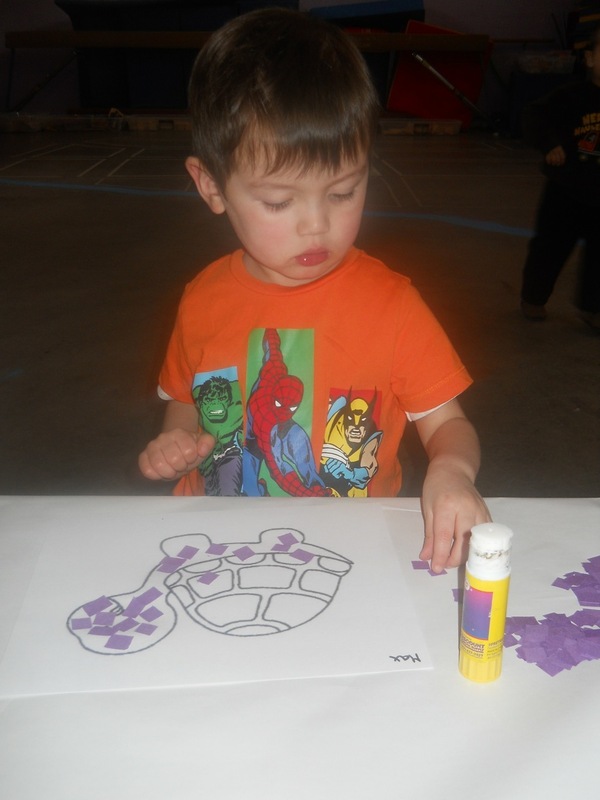 The children were given sheets printed with simple geometric shapes and directed to glue a different color paper in each section. 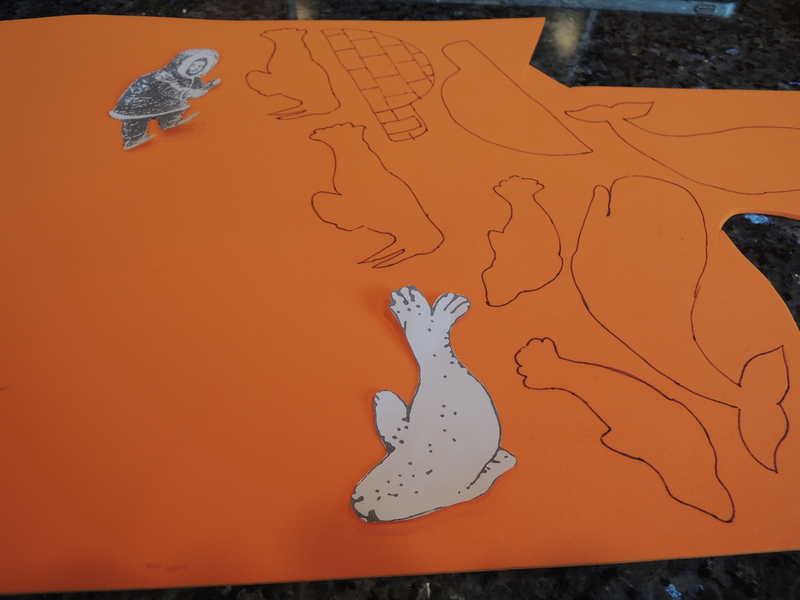 The kids were very successful with this. 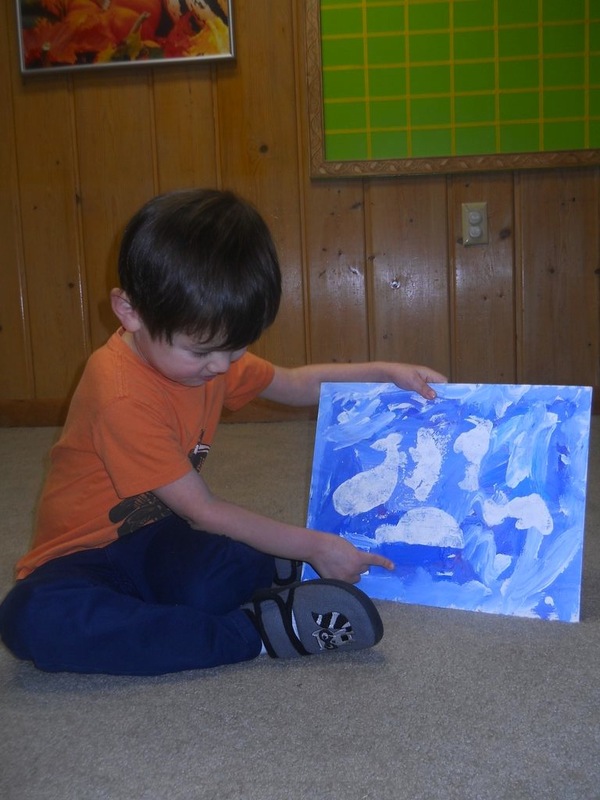 This week each child chose a picture that will be used in their final project. 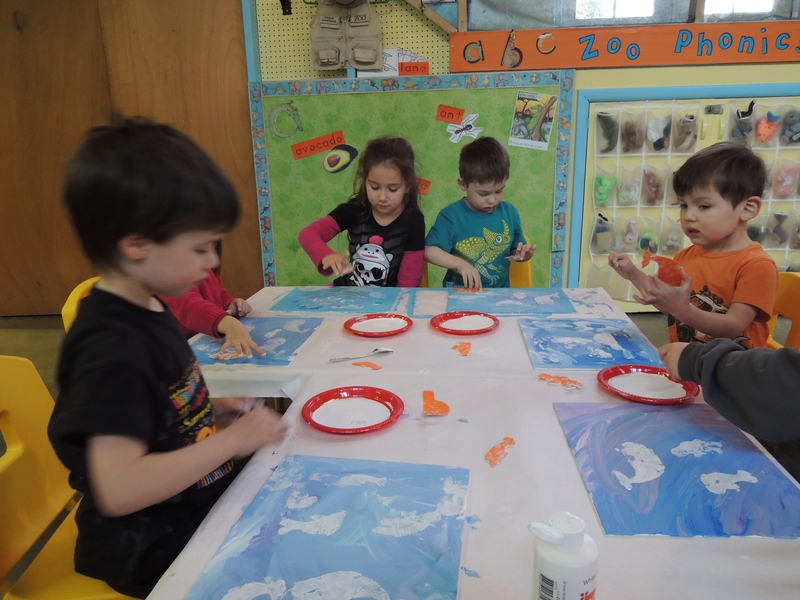 They are practicing glueing different colors of paper in each section. 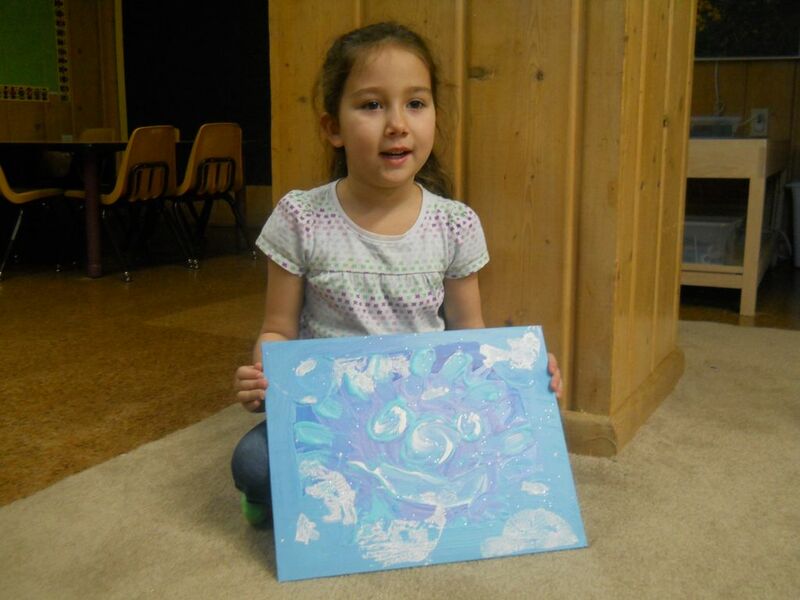 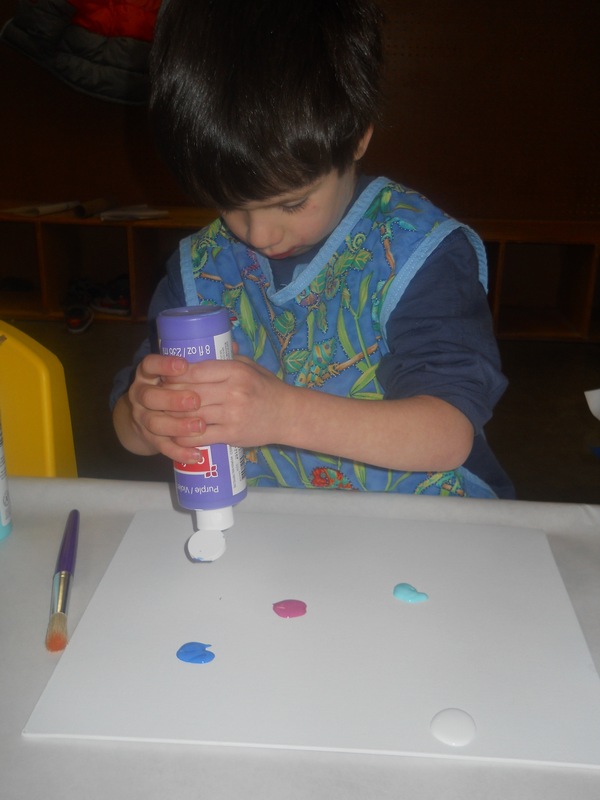 Next week they will begin making their mosaic picture with buttons on canvass. 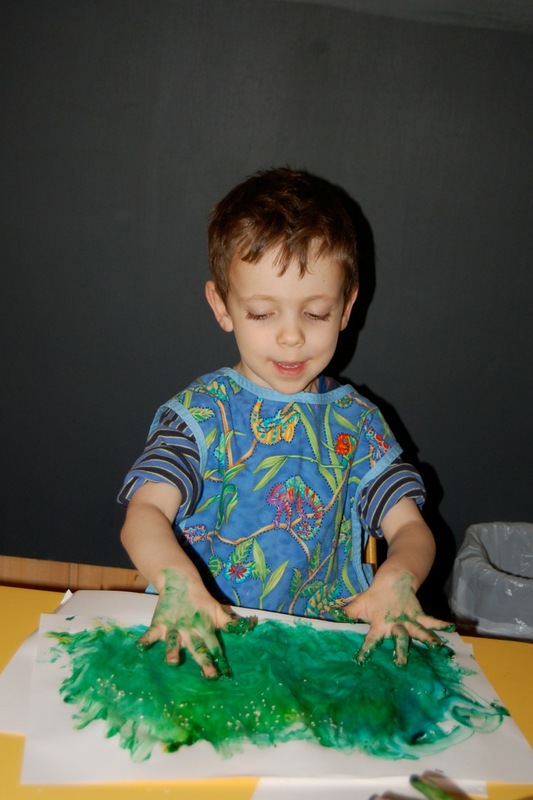 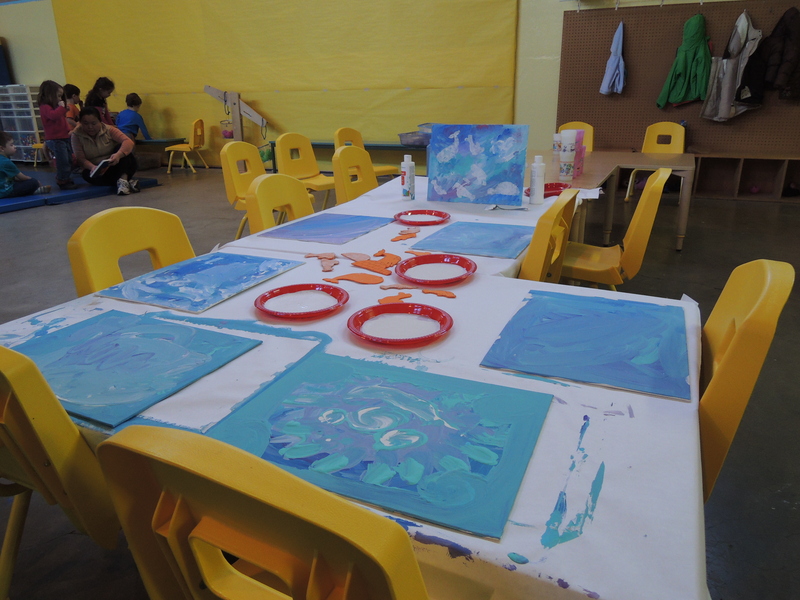 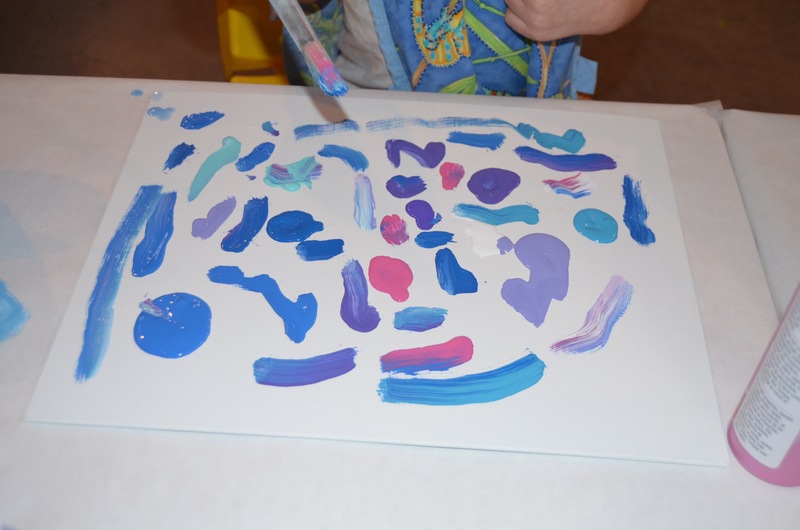 Last week the children created melted crayon collages on canvas boards. 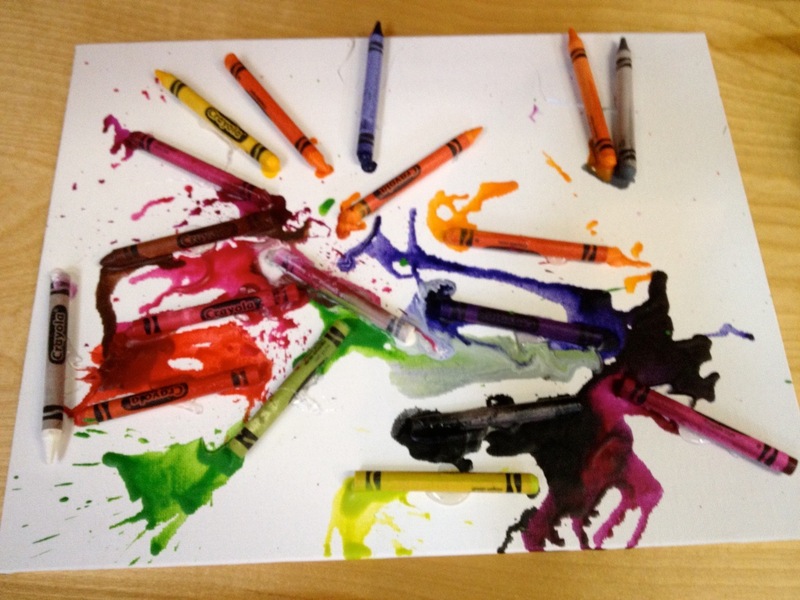 I saw this idea at Teach Preschool and thought it would be a perfect activity for December when the kids are exploring color and light. 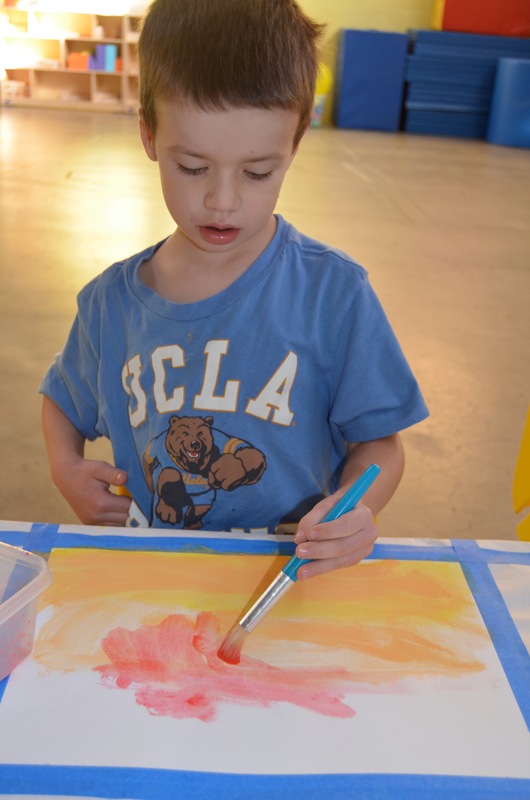 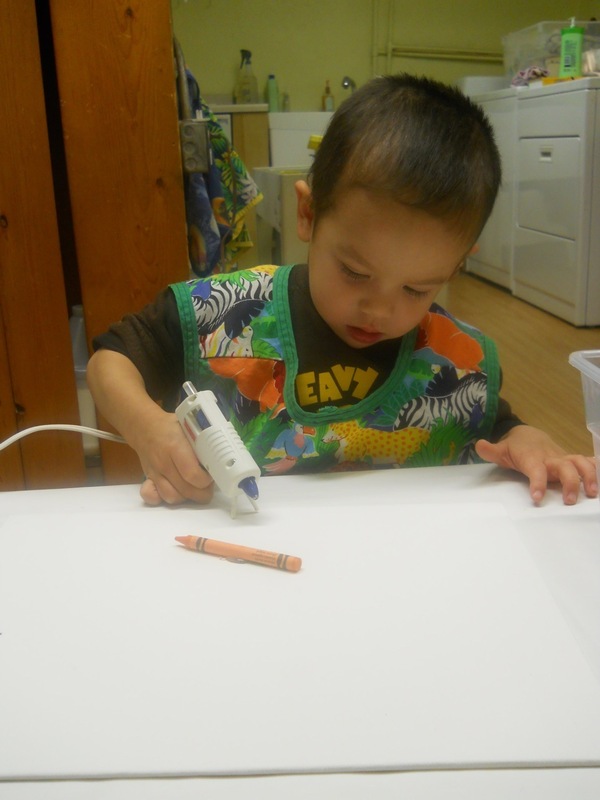 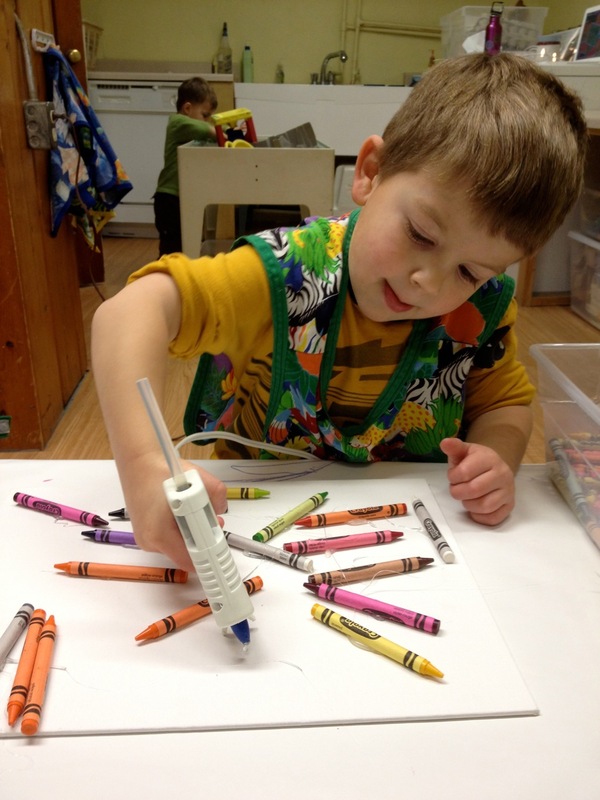 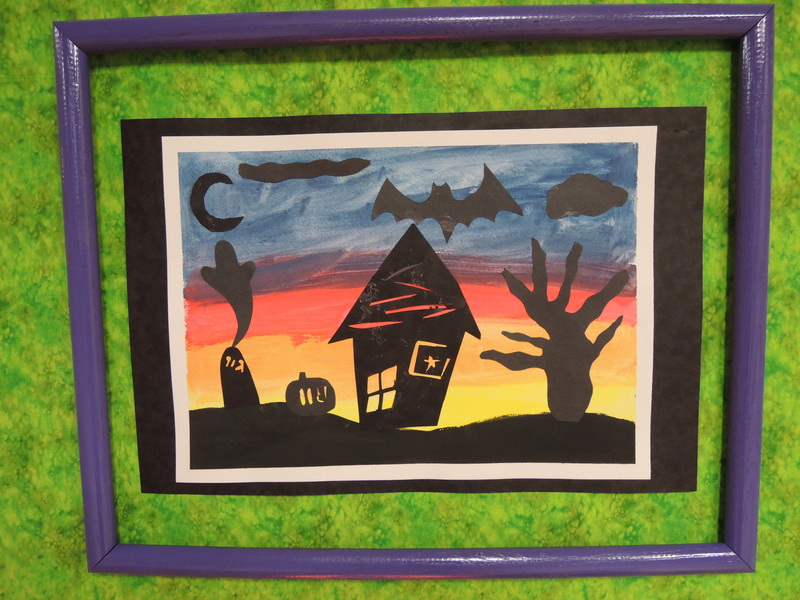 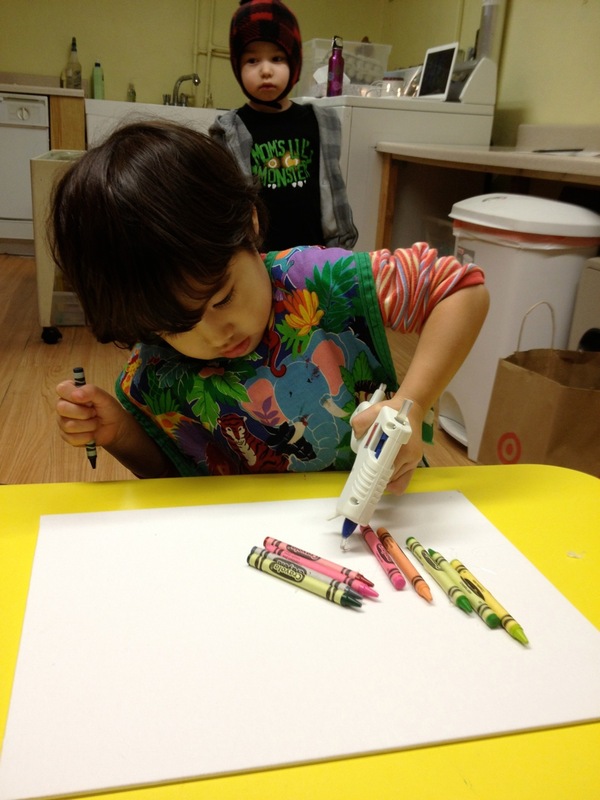 Children chose the colors they wanted and then used a cool glue gun to attach the crayons to the canvas. 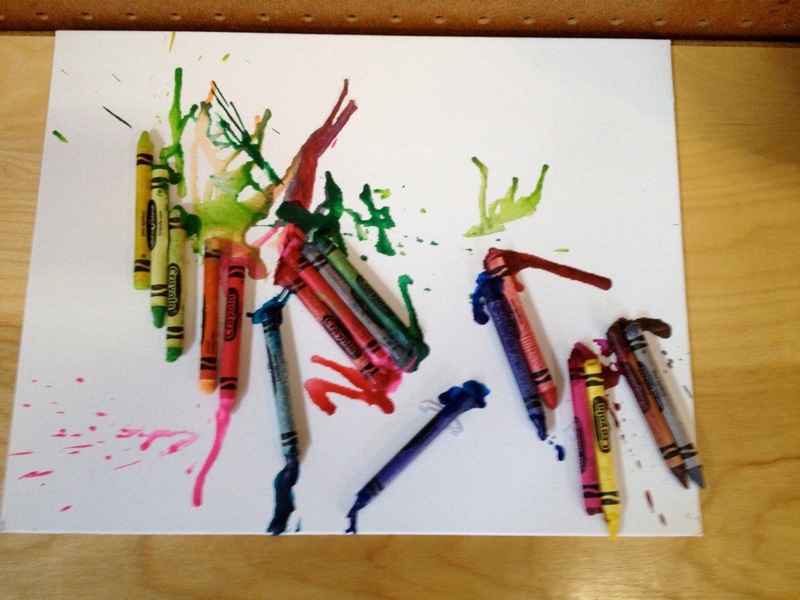 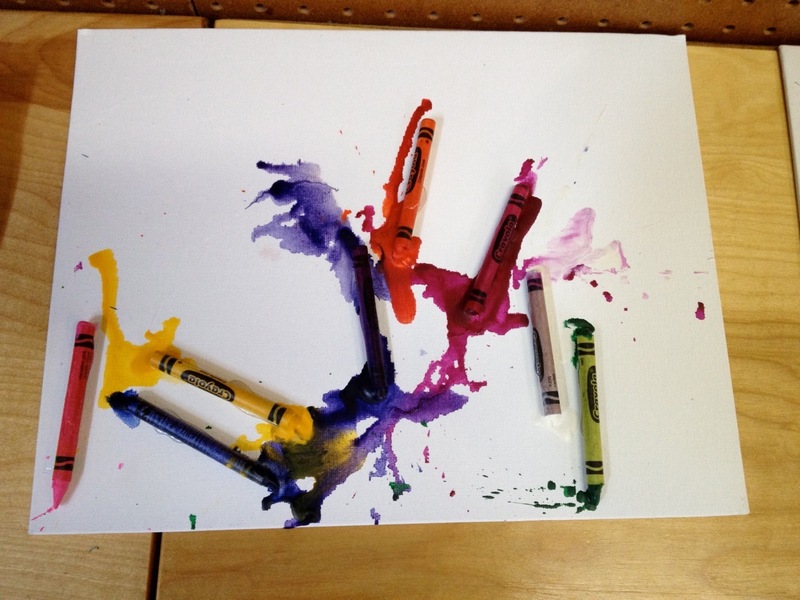 A hair dryer was used to melt the crayons. 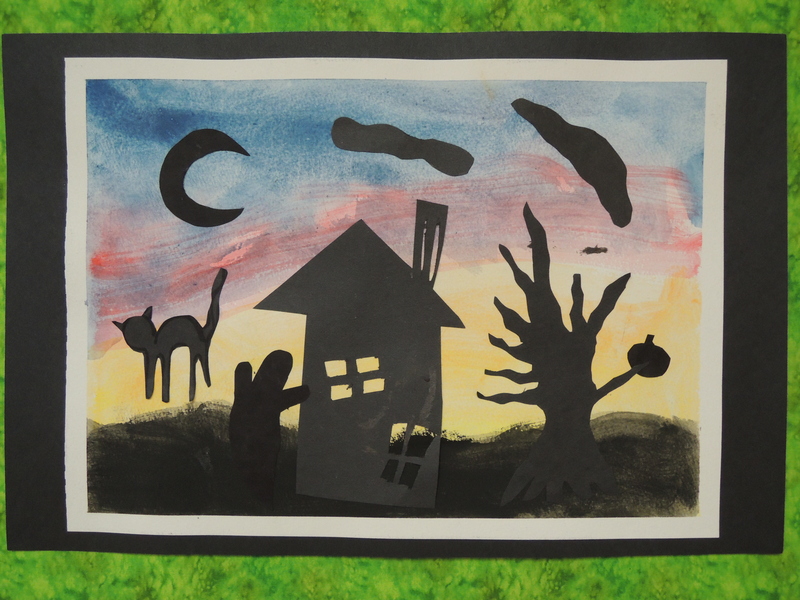 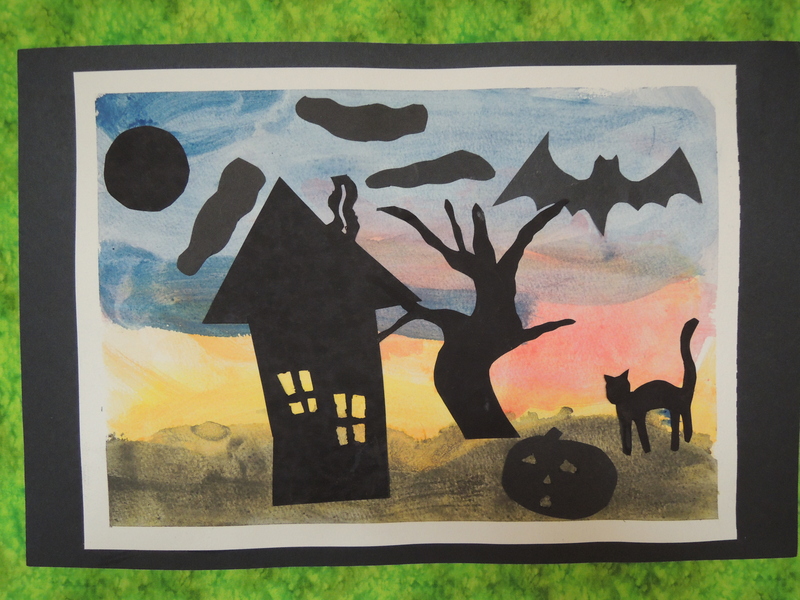 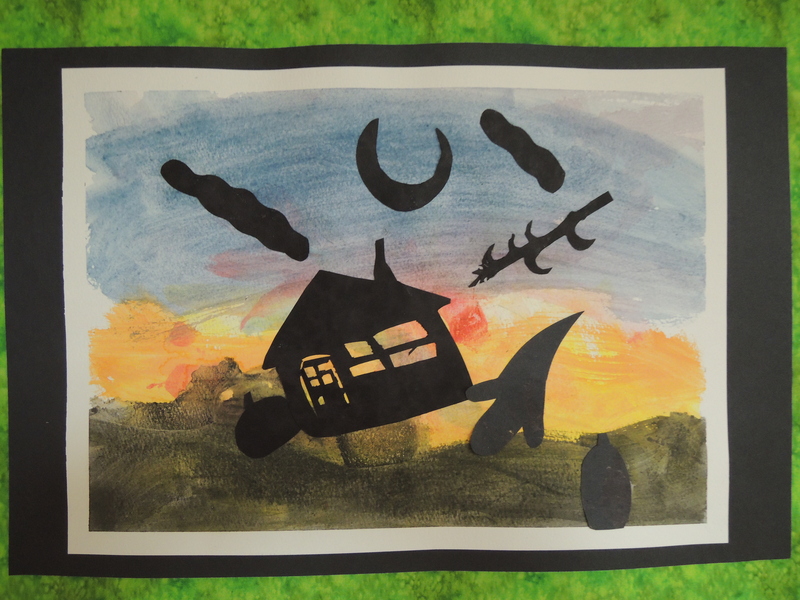 The finished collages are wonderful!